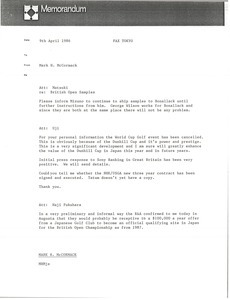 Japan - McCormack is awaiting infromation with reference to the outstanding Japanese schedule requests on Sony, Mitsubishi, JVC, Citizen, Panasonic, and additional advertising agencies with reference to Wimbledon and other television rights. 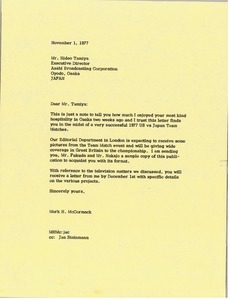 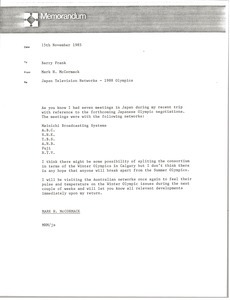 Japan - Tatewaki introduces himself as manager of the international departing of Tuc, Inc., and notes he is in charge of acquiring T. V. Rights to television programs to be shown in Japan. 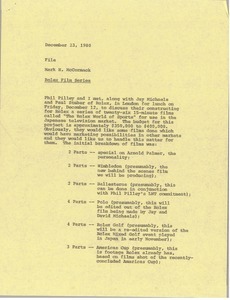 Japan - McCormack notes that he met with Phil Pilley, Jay Michaels, and Paul Stuber of Rolex to discuss their constructing for Rolex a series of 26 15-minute films called the Rolex World of Sports for use in the Japanese television market. 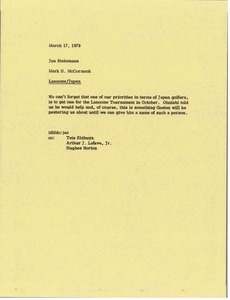 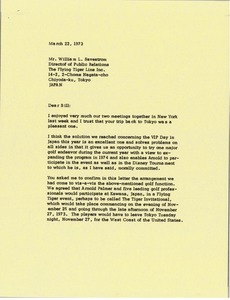 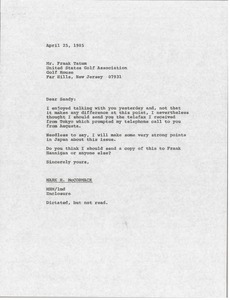 Japan - McCormack writes regarding the United States versus Japan Team Matches, Golf International and the television matters they discussed. 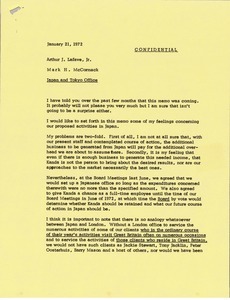 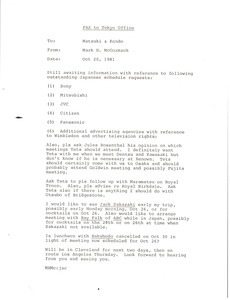 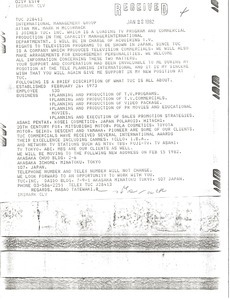 Japan - Outlining meetings he had in Japan with Japanese television networks about the forthcoming Japanese Olympic negotiations.